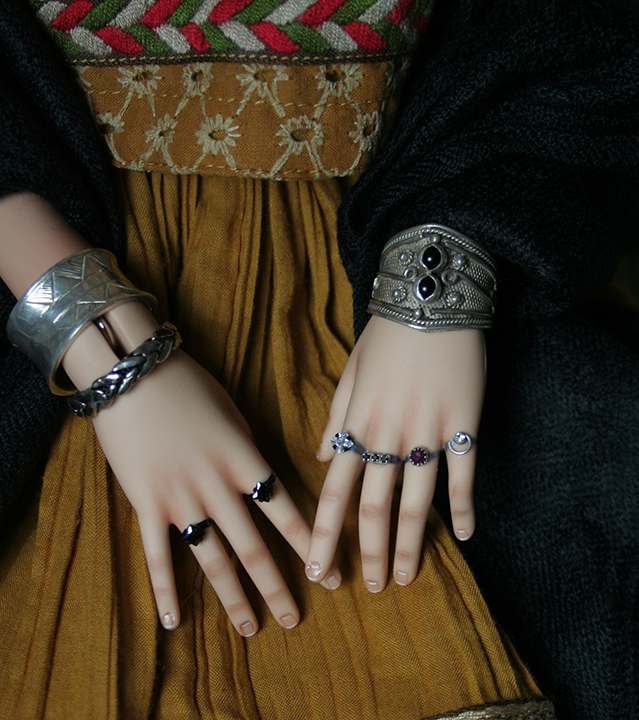 I’ve been working on a very special doll this week. 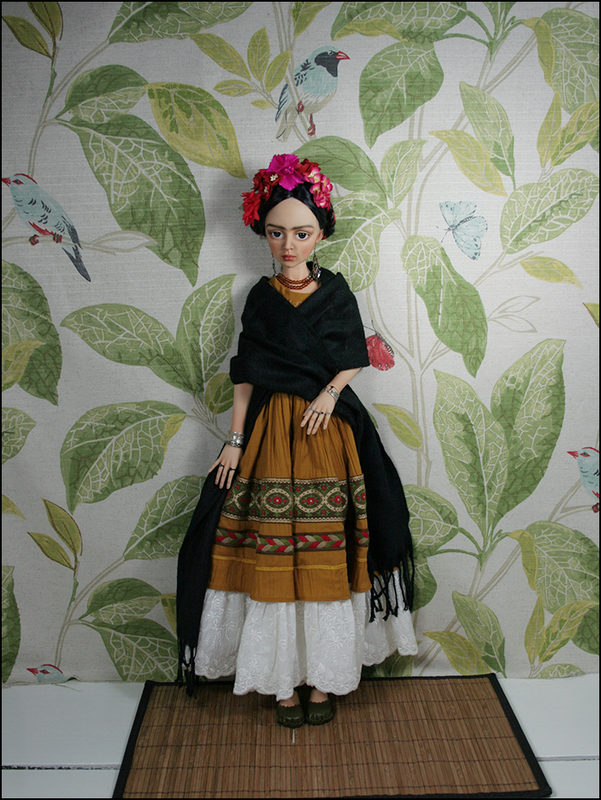 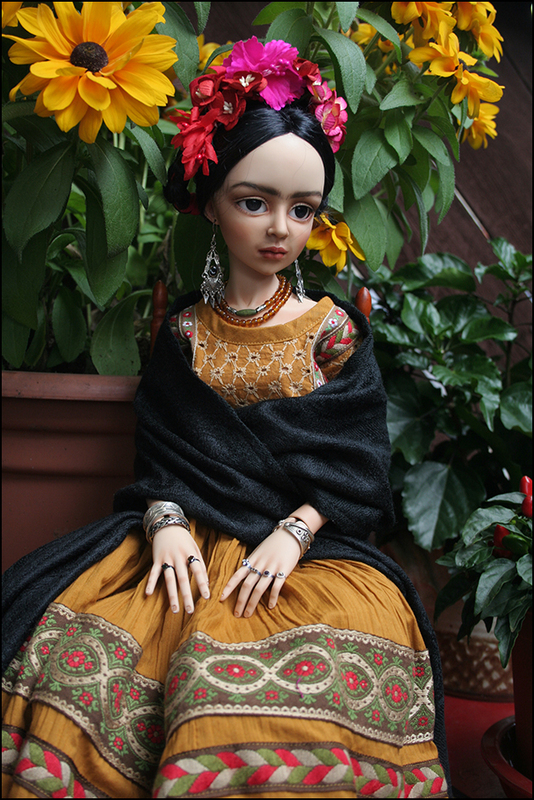 I’ve wanted to dress and paint my Tessa as Frida Kahlo for a long time and she finally materialized. 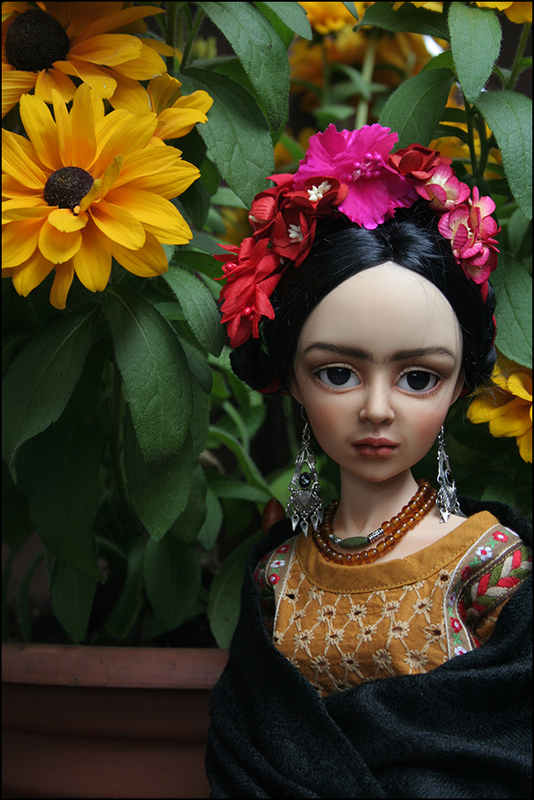 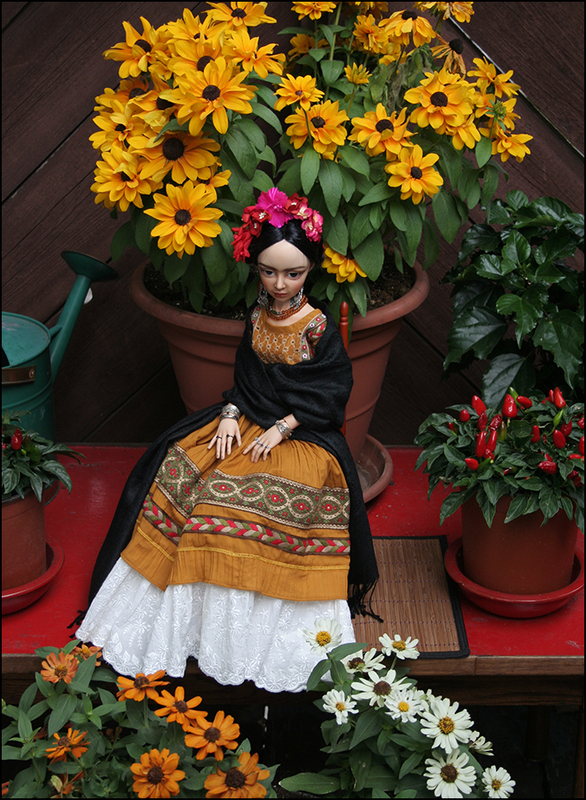 Frida has inspired and fascinated so many of us with her unique beauty and paintings that bared her soul and life experience. 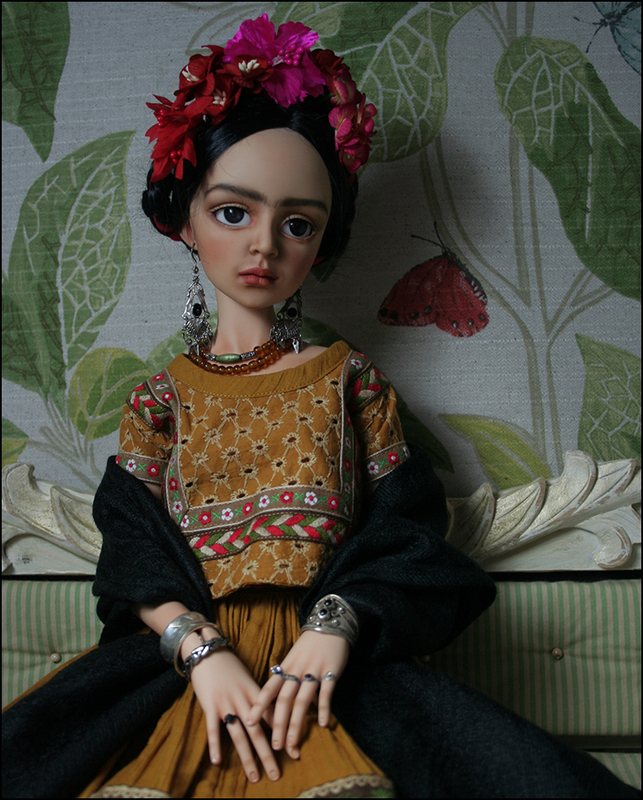 I will keep this Frida. 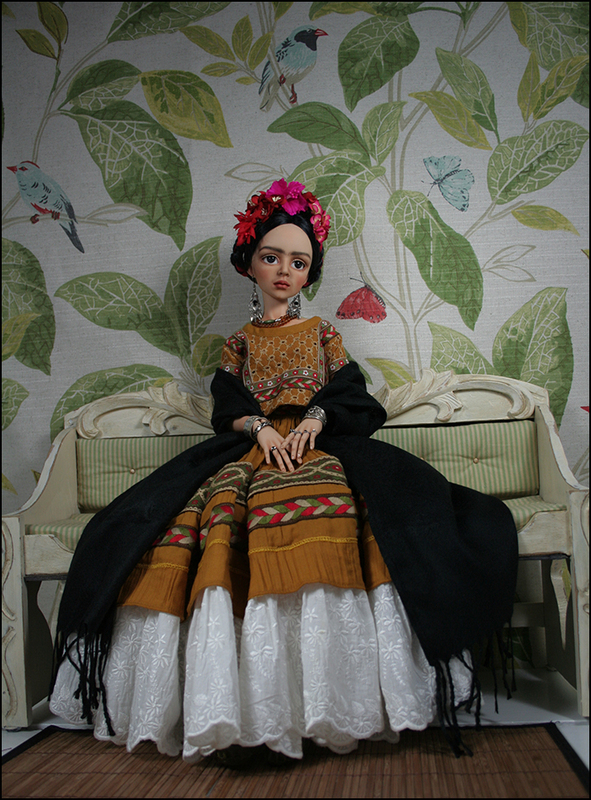 She is not for sale There were a few challenges in making Frida’s outfit (especially her rings) but that was why she was so much fun to make.